The village of Mignault is located north-west of the town of Mons off the A501. From the motorway E19 turn off at junction 3 onto the A501 direction Mignault. Follow this road to the first main junction and turn left towards Mignault. 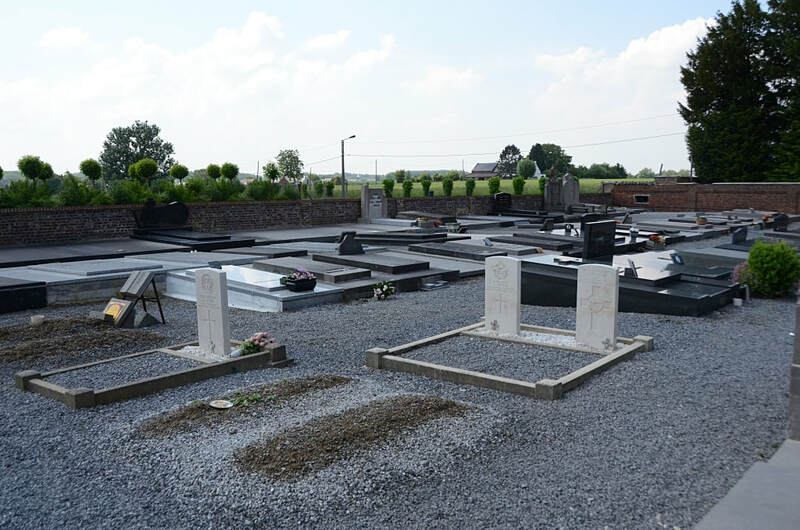 In the village centre by the church turn right into rue des Portes and the cemetery is along on the left. 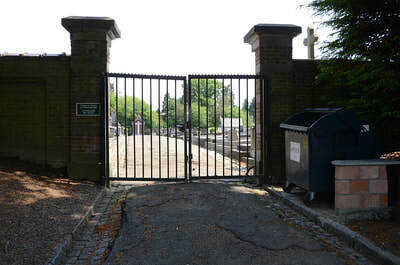 The graves are located through the main entrance, along the centre path and first path to the right. 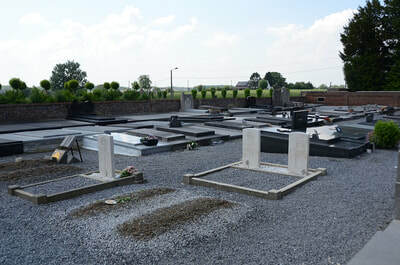 Mignault Communal Cemetery contains the graves of two Commonwealth airmen of the Second World War. There is also one burial of the First World War. 39565 Private W. Sorlie, 11th Bn. 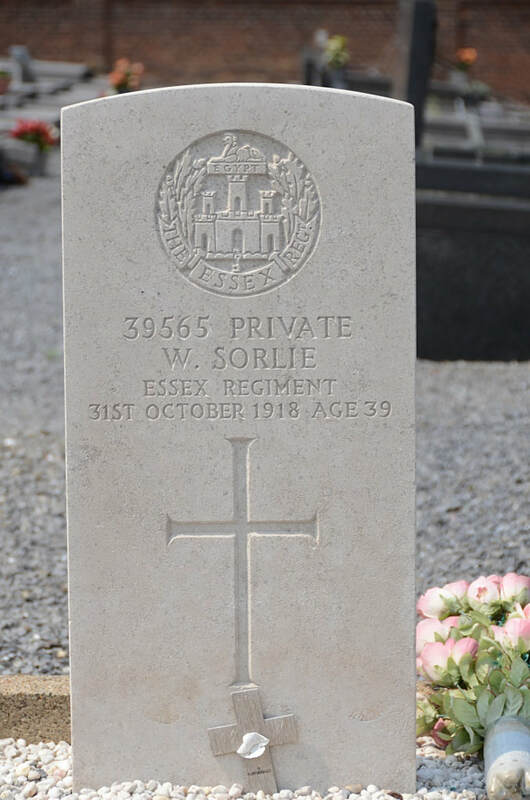 Essex Regiment, died 31st October 1918, aged 39. Son of John Sorlie, of Sma Glen Cottage, Amurree, Dunkeld, Perthshire. Born at Foulis, Perthshire. 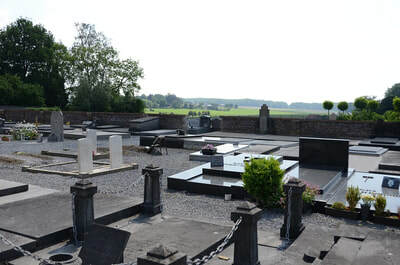 (On West side with Belgian War Graves). 405291 Flying Officer Thomas John Bolger, Royal Australian Air Force, died 26th September 1944, aged 23. 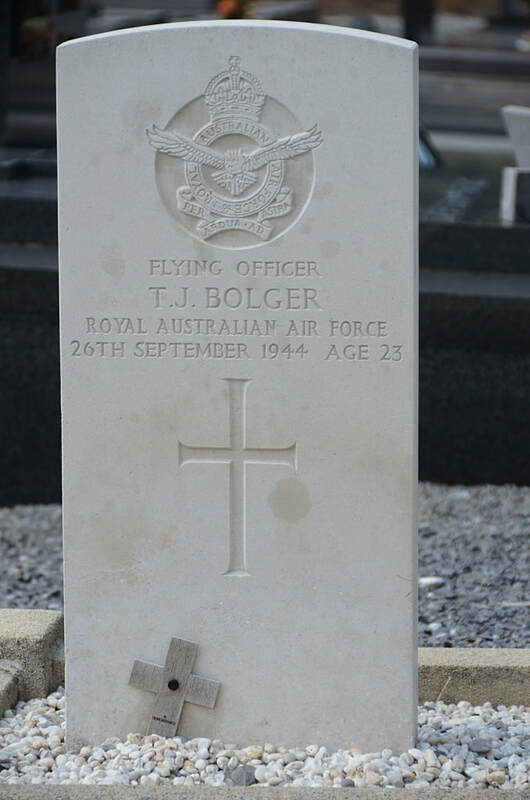 Son of Mr. and Mrs. T. Bolger, of Hendra, Queensland, Australia. 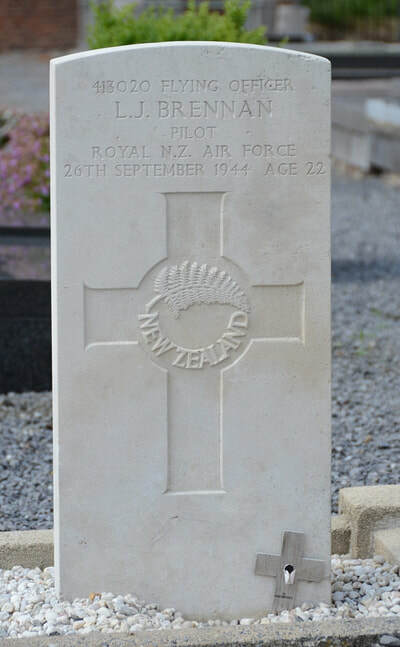 413020 Flying Officer Leonard James Brennan, Pilot in 692 (R.A.F.) Squadron, Royal New Zealand Air Force, died 26th September 1944, aged 22. Son of Francis Michael Brennan and of Elizabeth Sarah Brennan (nee Simmons), of Onehunga, Auckland, New Zealand.